“one of my porters pick-a-backed me across the Raforki river, which was hardly knee-deep”. “I had 4 boys with me, Kisaiga, Erastos, Mabbrukki and Juma, a Nandi that Costello has found me as an understudy to Mabbrukki, as the latter is getting altogether too annoying with his pay and posho shaaries, especially since he was one of the gun-bearers to the Prince of Wales”. Maurice had used Mabbrukki almost exclusively from his first visit to Kenya in 1921, and they definitetly had a love-hate relationship that’s been so entertaining to read- who can forget Mabbrukki using Maurice’s gun to shoot a rhino as he thought they were a team? This goes to show that although Maurice loyally retained him for 10 years, at the end of the day their relationship was based on Mabbrukki knowing his place, and when he acted above his station he was easily replaced. “Dr Scott Brown looked at my big toe and decided that there was a jigger under the base of the nail, and it is not just bruised, as I had quite thought until lately. Advised me to go to Kampala, to the European Hospital, and have the nail taken off. To Dr Reynolds at the hospital, who decided to take the nail off in the morning”. “went up to the hospital at 10.20 this morning, and by 11am I was leaving the hospital with the nail and the jigger removed and everything bandaged up and ship-shape. Pronounced very satisfactory. Except for aching for a couple of hours as soon as the effect of the Cocaine had disappeared, it has not bothered me at all”. The Jigger, or Chigoe flea is a parasite that burrows into the feet of mammals and lays eggs, producing swellings. Maurice seems to brush off the event with little fuss, and obviously the cocaine was much to his liking! Another tropical illness caused by tick or flea bites is Spirillum, described by David Livingstone in 1857. On returning from this safari, Maurice’s personal boy Kisaiga tested positive for the disease. “saw something high up among the trees that I took to be an elephants back, but that Juma (his gun-bearer) eventually said was only leaves. However, on getting to the object we found it to be a boy, who had taken to the trees when he heard us coming, while his pals had crashed away through the timber. This boy started to explain in quite good English, which came oddly out of the middle of a tree in the middle of the Mau forest. So we left the boy up there, giving me 10,000 thanks- presumably for not shooting him- and hoping that I would live 1000 years, etc etc”. “was told of the death of Lord Delamere. An irreparable loss to this country”. Just an interesting entry, when his own parents deaths are unmentioned. “For miles and miles one goes along a hair-raising road, very narrow and with a sheer drop, without any parapet, of hundreds of feet nearly all the time and occasionally on both sides.After just getting up a steep pitch by unloading all the baggage and using the lowest of the six gears, I got a foot or two off the dead centre of the soft and newly made forest road, and one hind wheel broke through and broke down the edge of the road and the car was almost turning down the bank. So we made the body fast to a convenient tree with our thick rope and also fastened the chains to a dumb-iron hook to make doubly sure, and then unloaded the car in safety and made camp there for the night. The boys working on this new road came at 7am and at about 8am the Belgian foreman arrived, put 50 or more boys around the car and they hoisted it bodily up level and then pulled it onto safe ground”. “found a delightful camp in group of big podo-trees; a space having been cleared under the largest one for my and Wright’s (his manager and agent) tents. The DC Tim Trafford is in command. All the messing arrangements in charge of, and being provided by the Earl and Countess of Erroll, who made very pleasant hosts. Gilbert Colvill and Mr Collinson of Rumuruti had their tents in the same glade, while nearly a dozen other settlers had made their camp a little further up the ridge”. “the boy left his home in Yemen when 15 years old and is now 20. Says he hopes to get a wife by and bye, but not too early, or he will become an old man too soon. Says he can get a wife for 70 rupees, if he is economical, and doesn’t spend a lot on his marriage feats. Took me to buy some “kath”. We bought a bunch each at 4 Annas. One should chew the leaves after a meal and then drink some tea. I tried some after dinner, slightly bitter, or sort of setting one’s teeth on edge. Very dull work. The little I took had no effect”. “left at 1.30 for the bathing place and did not get back from there until 6am. A mostly cloudy afternoon so did not get much sun for sun bathing. About 100 sailors from the German Karlsruhe (war-ship docked nearby) came and bathed. A fine-looking lot of men, mostly very young, and very level in size”. “I suggested going ashore, but find that no strangers are allowed to land without leave from the Iman of Yemen. So I have just sent ashore by the steamer’s agent a letter addressed to Salih Jaffer, British political representative, Hodeidah, asking him to arrange for a permit to land on my next visit here. But I doubt whether I shall get the permit, as the Yemen people have recently fired a shot or two at British aeroplanes, and relations are always a bit strained”. “had great fun bargaining for the above with a seething mob. Our guide rather frightened all the time, that we’d get one of the knives into us as they had a street fight here yesterday”. I wonder if his insight that the bride and bridegroom were ‘very frightened’ might reflect his own personal sentiments on the subject! I also wonder if he wished getting a bride was as simple as paying 70 rupees like the boy he met a few weeks earlier. “I got a message from the Sultan to come and stay with him, so had to pack up and obey. Found him sitting in what is now his old 3 storied palace, he having just got into his new one that he has built some 3 or 400 yards away. His old palace will be occupied in future by his eldest son of about 25, the Crown Price. Neither would speak any English but there was quite a good interpreter in attendance. Was asked which of our 3 Queens was best; so I put Elizabeth and Victoria together, first, and queen Anne a long way behind. Was in bed by 9pm with my personal boy stretched out across the threshold of my bedroom in accordance with the interpreter’s instructions; though one would hardly imagine there being any evil-doers in the Sultan’s own palace”. Maurice then harvested the tusks, jawbone, skull, 2 forefeet, 1 hindfoot, 1 sole of hindfoot, 1 toe nail, 1 slab of skin, 2 ears and 1 tail of the elephant. He hired a local hut to store his prize while the safari continued, and paid a local boy to sleep on the threshold 24 hours a day to guard it. I’ve mentioned before that I’m keeping a glossary of every name mentioned by Maurice in his diary. It’s proving pretty exhausting recording them and looking them up, and most of them draw a blank and have probably disappeared into history. Before Christmas I didn’t have the internet in my new house for a good few weeks so I recorded my names as usual but have only just started researching the backlog. I’ve found a few interesting people to share with you. Cara Buxton lived close to Maurice in Kenya, and he visited her frequently for tea. I’m still working through her family tree, it’s very complicated, but there are some fascinating characters. If I’m understanding correctly, Cara was probably Carolyn Gurney Buxton, born sometime before 1865 and died unmarried and childless in 1936. She was a cousin of Geoffrey Buxton who Maurice first traveled to Kenya with in 1920 and 1921, as well as Geoffrey’s sister Joan Buxton who married Maurice’s friend ‘Chops’ Ramsden. Interestingly, Cara, Geoffrey and Joan Buxton’s grandfather was a famous anti-slavery campaigner and is featured on our 5 pound note as the brother in law of the Quaker Elizabeth Fry. Maurice was close to the Buxton family, and they had similar aristocratic backgrounds. Having guided him and set him up in Kenya, Geoffrey died just two months after Maurice in 1958. Cara was quite an amazing lady, so I can see why she held Maurice’s attention. Even though she was a bit older, I like to think she might have made Maurice a nice wife as they had so much in common! In 1910 she walked from North Africa to Nairobi. In a time when most farms were owned and managed by men, Cara bought a coffee plantation in 1913 and managed it quite successfully. Her letters to her nephew (Desmond Buxton, who sold off the family seat of Catton in Norwich in the 1940s) documenting her time in Kenya are now at the Bodleian library and will be a very useful source for me. Phew, that was a bit complicated, I hope you’re still with me! Catton Hall, now luxury flats! Another story of an epic walker is that of Ewart Grogan, born the same year as Maurice in 1874 and died in 1967. He was the 14th of 21 children born to William Grogan, the Irish surveyor-general to the Duchy of Lancaster. His godfather was the Prime Minister Gladstone. He was expelled from school and university, and so when he met his sweetheart Gertrude Watt, her stepfather was not keen on the match. To prove himself, Grogan was the first man to walk the length of Africa from Cape Town to Cairo. He was 24 when he began, and reached Cairo in 1900, talking 2 1/2 years. He became a popular sensation and wrote a book about his travels, which I imagine would have been known to Maurice when he met him on board the SS Matiana from Mombasa to Marseilles in December 1930. 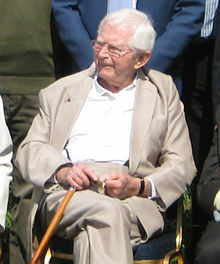 Grogan was later known as the ‘Churchill of Kenya’, and was also a skilled big game hunter. I wonder if Maurice saw him as an equal or a rival? Another lady, because I like to prove that there were strong and interesting ladies among Maurice’s friends, was Lady McMillan, who Maurice sailed with several times between 1929-1930. Her husband, Lord William Northrop McMillan, was an American soldier that achieved the unlikely honour of being knighted in England. They settled in Kenya as early as 1901 and hosted president Roosevelt on his famous and very bloody safari on 1911. When Lord McMillan died in 1925, Lady McMillan established a library in Nairobi in his name, and continued her philanthropic work. She was a great friend of Karen Blixen, and bought much of her furniture when Blixen was forced to leave Kenya. Now this is a bit of an unusual one! On November 4th 1927 Maurice was on the ship SS Moldova to Port Sudan, and in his usual practice he lists the passengers he interacts with on board. Maurice is notorious for striking up friendships with boys on his travels, and makes a point of listing all the ‘kiddies’ he meets. He mentions a Mr and Mrs Sharland, both actors, and their two boys David and Peter who are en route to Sydney. Annie Sharland was a celebrated stage actress, and Reginald Sharland had a successful career as a radio actor in Hollywood. However, more interesting to me at that time was their five year old son, David, who would later change his name to David Croft and produce many of my favourite TV sitcoms such as “‘Allo ‘Allo”, “Dads Army” and “Are you being served?”! Finding a few interesting people in my huge list of names always makes my research seem worthwhile!